The good old days are right now: The Softail Slim® is study in contrasts. The Hollywood bars, slim rear wheel, cat eye console and floor boards recall the early days of custom motorcycle enthusiasm. Yet you also get thoroughly modern features like a High Output Twin Cam 103B™ engine, hidden suspension and great brakes to bring it all into the here and now. Notice the way bright chrome meets blacked-out metal. Laced wheels with stamped black rims. There’s never been a better time to be a rider. 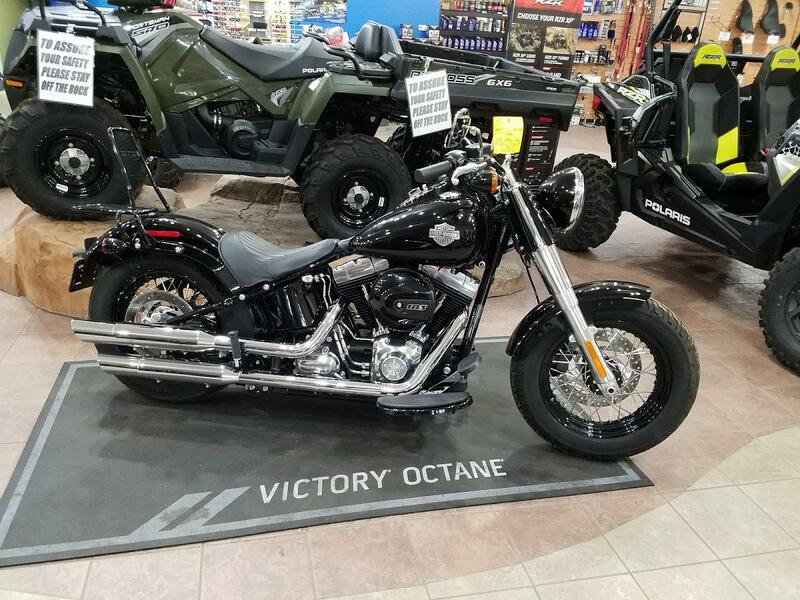 Iconic Engine: The air-cooled 45° V-Twin engine at the heart of every Softail model is a prime example of what makes a Harley-Davidson motorcycle more satisfying than anything else. Its clean, uncluttered shape fits perfectly in the downtubes of the frame. Twist the throttle and the surge of torque hits you exactly where it counts. 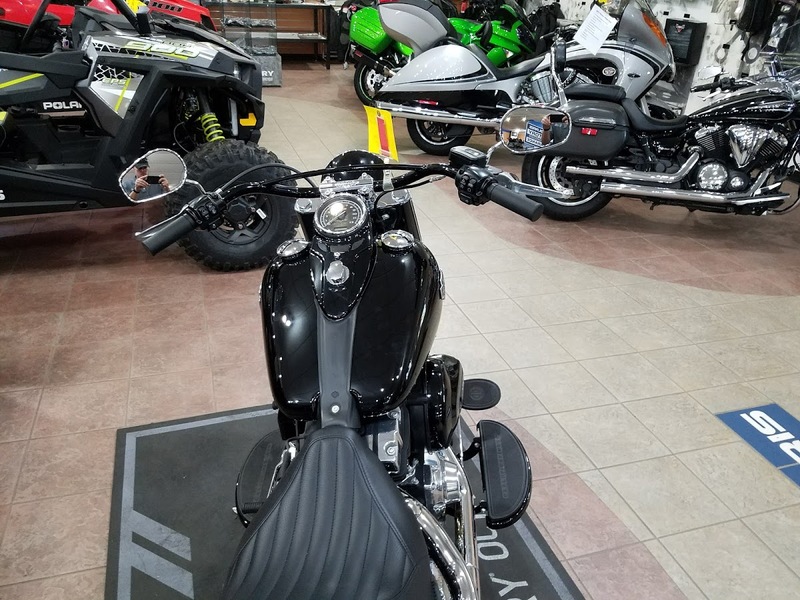 The knowledge of what makes an engine truly move a rider runs deep at The Motor Company, and it’s been put to particular good use to power the Softail family. We counterbalance the engine, which means we can bolt it directly to the frame. It keeps the styling tight at the center of the bike. It lets the rider feel the pulse of the V-Twin. Yet there aren’t any vibrations rattling the fillings out of your teeth. What’s good gets even better for 2016. The Softail family gets a power upgrade to the new High Output Twin Cam 103B™ engine. More power is always a Harley-Davidson tradition. 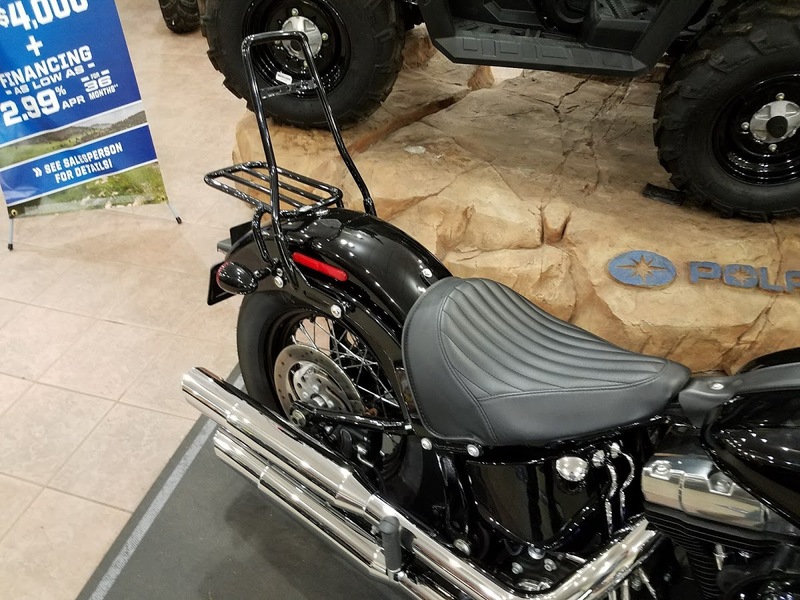 New High Output Twin Cam 103B™ Engine: The knowledge of what makes an engine truly move a rider runs deep at The Motor Company, and it was put to good use when we created the High Output Twin Cam 103B™ engine. We sweated bullets perfecting every cubic inch, pushing design and technology forward. And we did it all without compromising one bit of Harley-Davidson's unique styling. Evolved, yet carrying on the legacy of the Flathead, Knucklehead, Panhead, Shovelhead, Evolution® and Twin Cam 88™ and Twin Cam 96® engines that came before. 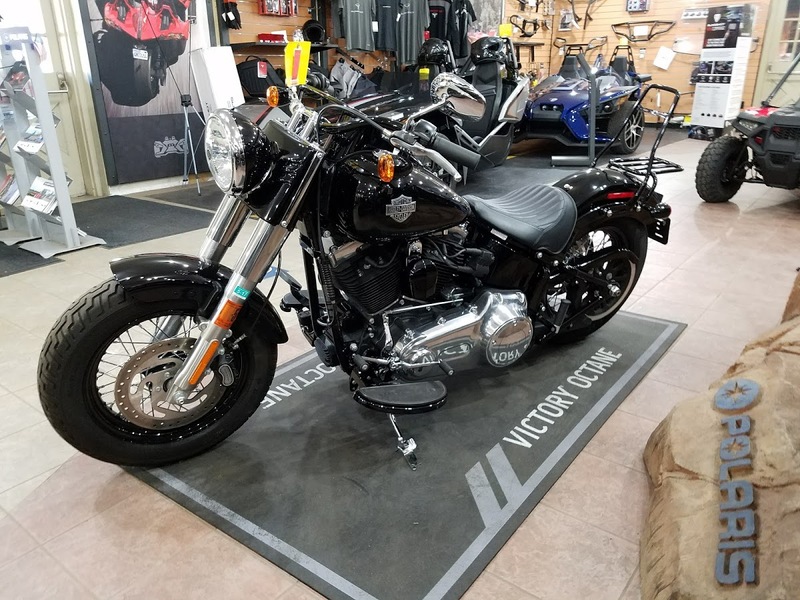 The performance and durability are a direct result of the untold miles logged on the V-Twin since 1909 and the proud heritage that comes from a century's worth of commitment to life on two wheels. High Output Twin Cam 103B™ Engine Power: Asking riders if they’d like more power is like asking them “Would you like more beer in the pitcher?” when they've reached the end of a long day tearing up the roads. 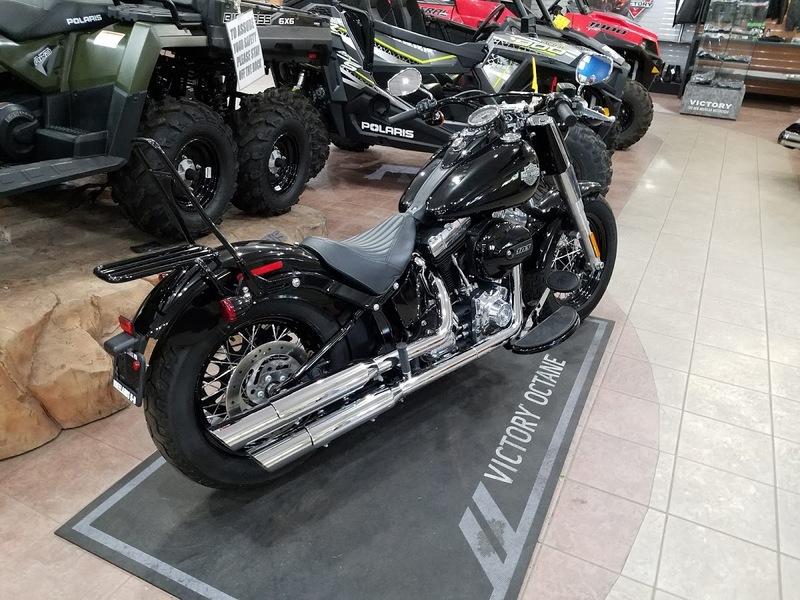 Everybody wants it, and the High Output Twin Cam 103B™ engine is 103 cubic inches of Harley-Davidson V-Twin you can rely on to deliver it. The airbox increases intake airflow and the cam optimizes phase and duration. The result: better low-end torque and faster 60 to 80 mph 5th gear roll-on to get you around that 18-wheeler. In other words, it gets you motivated in a hurry. 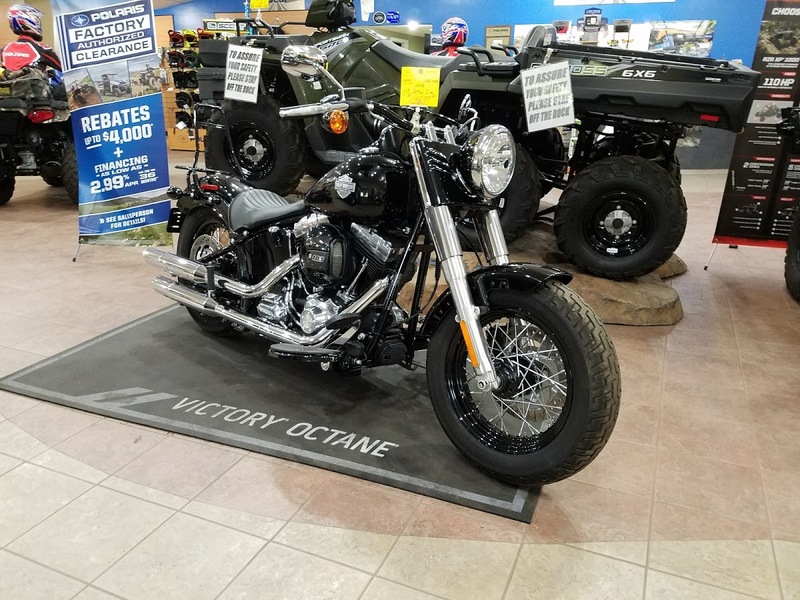 In the tradition of the legendary Harley iron that came before it, the High Output Twin Cam 103™ engine is once again raising the bar for the feeling an engine delivers to the rider. There’s a reason we’re called the Harley-Davidson Motor Company. Once you send some fuel to this engine, you’ll have no doubt whose it is. High Output Twin Cam 103B™ Engine Innovation: Fire up the High Output Twin Cam 103B™ engine and feel the low-end torque unleashed. Thanks to the lightweight piston design, delivery of the added power is more refined than ever. Then put your foot on the shifter and feel how the engine and Six-Speed Cruise Drive® transmission were designed to work together. Six speeds. A strong driveline and strong internal parts. Low routine maintenance. And a low cruising rpm that couldn't feel better. Pure Harley-Davidson Styling: Feast your eyes on the High Output Twin Cam 103B™ engine and there's no mistaking its roots. 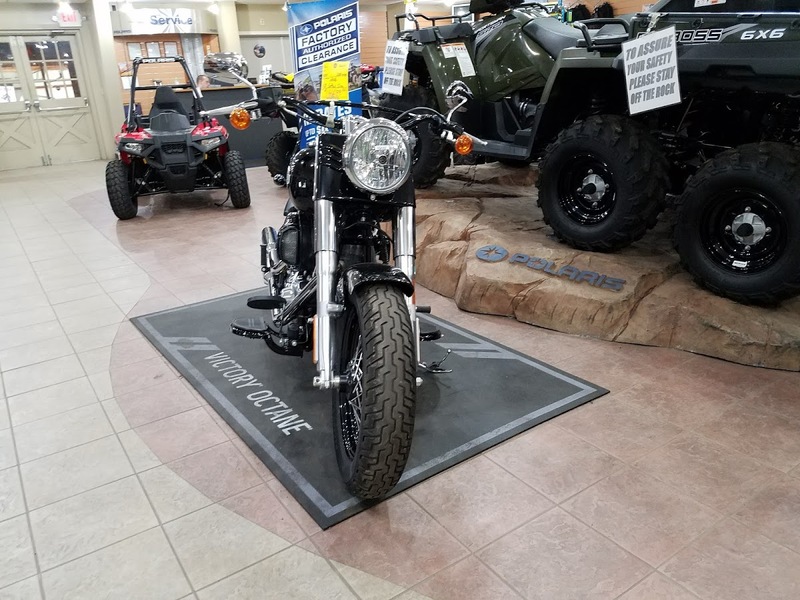 This is authentic Harley-Davidson style through and through with an attention to detail you won't find from any other motorcycle company. 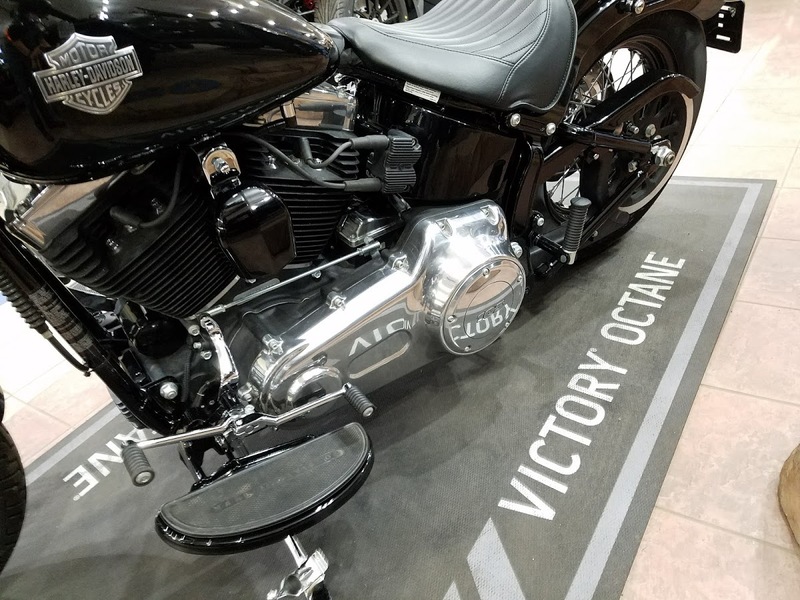 Medium gray engine with black powder-coated cylinders and cylinder heads are topped off with polished rocker covers and an old school round air cleaner cover for a tough vintage Harley-Davidson attitude. It's a jewel machined out of metal. Pure. Dripping with power. From the classic edge of the cooling fins to the clean lines of cases and covers—the High Output Twin Cam 103™ engine makes an ironclad statement about holding on to what's right and staying true to what satisfies. New Ergonomically Designed Hand Controls: When you've put as many miles as we have in the saddle, you get a strong feel for what’s right and wrong on a motorcycle. Even the smallest annoyances start to add up with each passing mile, and that’s especially true of the way the handlebar feels in your grip. 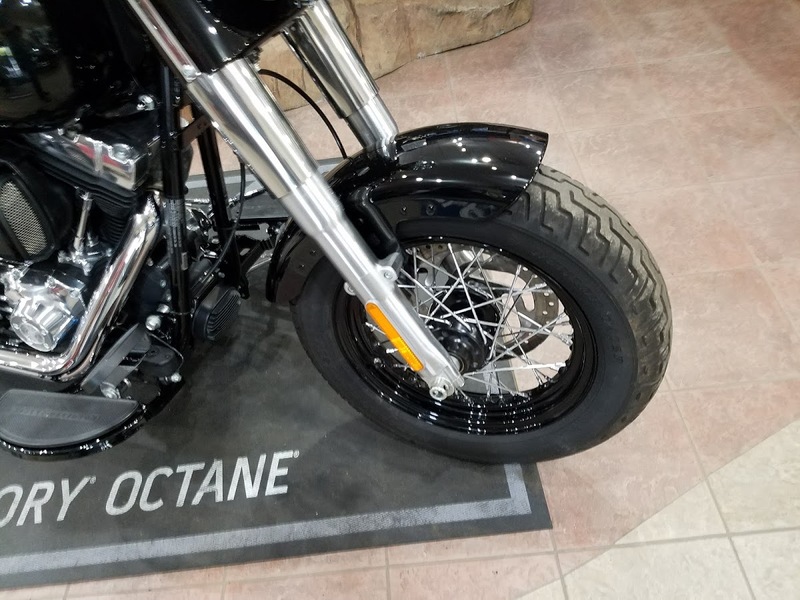 So we worked over the hand controls with as much passion as we worked over the engine powering the Softail Slim® motorcycle. The shapes feel good, and are angled to fall right under your thumbs. It’s just one more way each new mile feels even better than the ones that came before.